Three years after it was upheld, President Barack Obama’s healthcare law is back before the US Supreme Court, this time in a dispute over a definition that may threaten federally subsidized coverage for millions of Americans. Starting Wednesday, the Supreme Court will hear oral arguments in the case known as King vs. Burwell, over whether federal subsidies in 34 states that have not set up their own health insurance markets (“exchanges”) are legal under the Patient Protection and Affordable Care Act (ACA). The plaintiffs argue a particular section of the law refers only to “exchanges established by the State” when mentioning eligibility for subsidies – meaning it explicitly excludes marketplaces established by the federal government. The government is arguing that the phrasing may be unfortunate, but that the entire law clearly intends the federal tax credits apply to people using the federally established exchange, not just the state ones. If the Supreme Court rules against the government, that would mean the end of federal subsidies to more than seven million Americans in 37 states. This, in turn, would disrupt the fragile framework of the law that orders Americans to purchase insurance or face tax penalties, while forbidding the insurers to turn anyone away. Insurance companies, Democratic lawmakers and liberal activists argue this would effectively destroy the ACA. “It would take a wrecking ball to a major part of the Affordable Care Act,” Rep. Chris Van Hollen (D-Md.) told the New York Times. Republicans have proposed two alternatives if the Supreme Court rules against the government. The House plan, floated by representatives Paul Ryan (Wis.), Fred Upton (Mich.) and John Kline (Minn.), envisions rolling back the mandate to buy insurance while providing tax credits to help people afford coverage. The Senate proposal, backed by Orrin Hatch (Utah), Lamar Alexander (Tenn.) and John Barrasso (Wyo.) adds transitional aid that would enable those affected to keep their current plans for at least a little while, reports The Hill. Any steps to prepare for the potential crisis would be “politically unworkable and ineffective,” administration officials told the New York Times, as well send the wrong signal to the Supreme Court that alternatives might exist. Doing nothing is meant to underscore that the White House believed a defeat in King v. Burwell would be “unavoidably disastrous,” the paper notes. 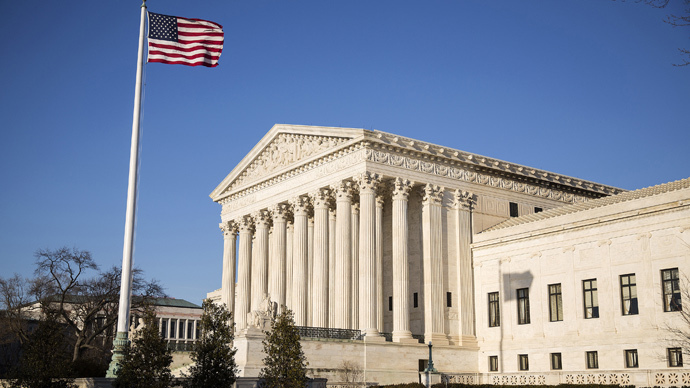 While it is possible that the Supreme Court might give its opinion of the case at any time, traditionally the decisions in major cases have been left until the end of the term, in late June. In June 2012, the court ruled on the original challenge to the ACA, making the law’s extension of the Medicaid program for the poor optional for states while striking down the government’s justification for the individual mandate under the Constitution’s commerce clause. However, the judges upheld the mandate by defining it as a tax instead.